In a bid to capture a larger share of the storage market, Lenovo, the world's fastest growing server manufacturer, is teaming up with data management systems and storage provider, NetApp. The companies chose Lenovo's Transform 2.0 event in New York to announce the partnership, along with two flagship product lines, ThinkSystem DE and DM. Additionally, the pair is launching a joint venture in China, which the Chinese manufacturer will own 51 percent of, allowing NetApp into a market which is notoriously difficult to enter as a foreign company. This will sell versions of the NetApp equipment tweaked for China, and is expected to be operational by early 2019. The two new storage lines, comprising 10 products in total, will be available in all-flash and hybrid. 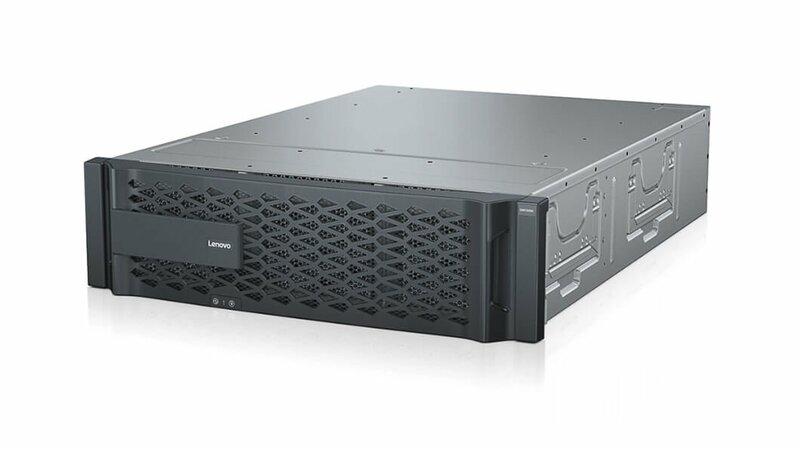 The DE model, based on Lenovo's E servers, is entirely modular and offers a capacity of up to 2.88 petabytes. The DM series is a high powered, all flash range which allows for an array of connectivity solutions, including the company's NVMe over fiber channel. NetApp will handle the software, while Lenovo will be in charge of the hardware design and production. NetApp will continue to manufacture its existing products independently, allowing for seamless data transfer between Lenovo's and its own. At the conference's opening keynote, EVP Kirk Skaugen called the DE and DM lines "the largest data management and storage portfolio in 25 years of data center history," and Per Overgaard, executive director of Lenovo's data center group's EMEA region described NetApp as "the perfect fit" for Lenovo. Lenovo's CEO, Yang Yuanqing, or Y Y, said the partnership would "help strengthen our data management and storage offering", admitting quite frankly that the company had previously had a product range which was insufficient to compete with rival OEMs in the data center space. The deal should also be a plus for NetApp, which owns no servers of its own, but relies on partnerships like this one. It currently has a deal for Dell to integrate its storage products, and a previous deal with IBM ended some years back. NetApp is also part of Fujitsu's NFLEX converged offering, as well as Cisco's FlexPod. Both Skaugen and Brad Anderson, NetApp's cloud business unit SVP and GM, stressed that the agreement wouldn't affect either of the companies' current partnerships, because they target different audiences. NetApp's integration into Fujitsu's NFLEX Converged Infrastructure will continue, as will as the company's Dell and Cisco deals. 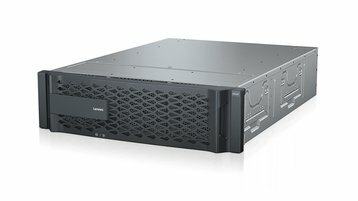 Meanwhile Lenovo's own converged hardware offering, the HX series, will continue to run Nutanix software. Despite his colleague's assurances that the ranges hit different markets, Y Y suggested that the addition of the NetApp line to Lenovo's portfolio could "help [Nutanix] grow and become more competitive,” too. Lenovo's Data Center Group (DCG) has yet to turn a profit, but in recent years the company has gone to great lengths to fix this. Last year, it re-architected it and arranged its product families into two subdivisions - ThinkSystems and ThinkAgile. This appears to have begun an improvement, following a series ofdisappointing figures. It's been a long term effort, with Lenovo working to catch up with changes in the market, starting from a traditional enterprise IT product range which Y Y said it had to "leverage" for new sectors. Since its 2014 acquisition of IBM's x86 server business, along with some specific high-performance technologies such as the Neptune liquid cooling system, the company has gathered strength in the HPC market, where it says it is the world's biggest provider. It now aims to produce solid growth in a wide range of sectors including cloud, hyperscale, hyperconverged and software defined data center technologies, all of which have seen growth potential.